Your home needs a lot of energy to run smoothly and comfortably. And our job is to put some energy into making it run as affordably as possible too. A great way to lower your energy bills while increasing your home energy efficiency is to have Rich-Aire Co. LLC run a home energy audit. We’ll check all the systems in your home, as well as your windows, basement and attic, for leaks, wear and tear, and other factors that can have you paying for wasted energy. Should we discover problems, we’ll carefully review each issue with you and recommend high-quality dependable solutions that will keep more money in your pocket for years to come. 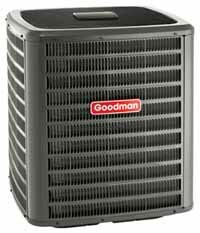 Our primary business is, of course, providing our customers with expert support for all their home energy systems—furnaces, air conditioners, vents and more. Call on our team of certified technicians, and you’ll be thrilled by the courteous, expert service you’ll receive. By the way, now is a great time to consider upgrading your equipment thanks to our low prices and the Federal Energy Tax Credit Program, which can save you up to $450. Call today at 908.687.4382 to schedule a home energy audit and to learn more about the many systems, services and savings opportunities we have ready for you at Rich-Aire Co. LLC.